The research process from the Use-Reuse workshop resulted in a participative dinner experience for 35 guests. 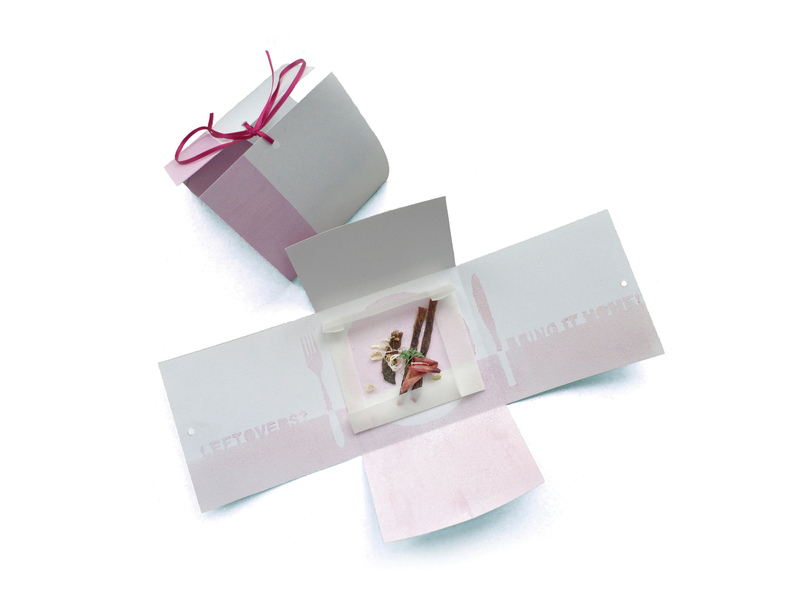 The food served was designed by Marc Brétillot with the help of the students, who also developed a packaging design: Left Overs – Bring it Home. The Packaging contained crisp fish skin, roasted onions and selected herbs. Marc Brétillot, renowned French culinary designer, created a full dinner experience based exclusively on local food and applied the more approaching 0% process: each food component used was upcycled using new innovative culinary methods inspired by traditional recipes. With a pro-active participation of the guests, the values of “Transform” were transmitted in an informal and social way through this culinary and scenographic performance.